Isaac was found abandoned when he was estimated to be about three days old. The finder contacted PAW to see if we had any lactating mom cats. We didn't, but Last Chance Cat Ranch did - a little mom named Autumn. 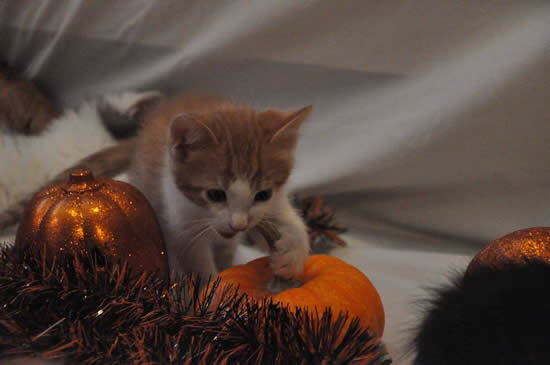 He was placed with Autumn along with her own kittens and a couple other little orphans. She accepted him with open paws! Says foster mom, "He is and has always been the most laid back loving guy. He loves being surrounded by people and animals. We have a few dogs and our own cats as well as our large foster collection. When I get up in the morning and come out of my room he’s always there to greet me. He’s just such a little sweetie". Isaac has already been spoken for.